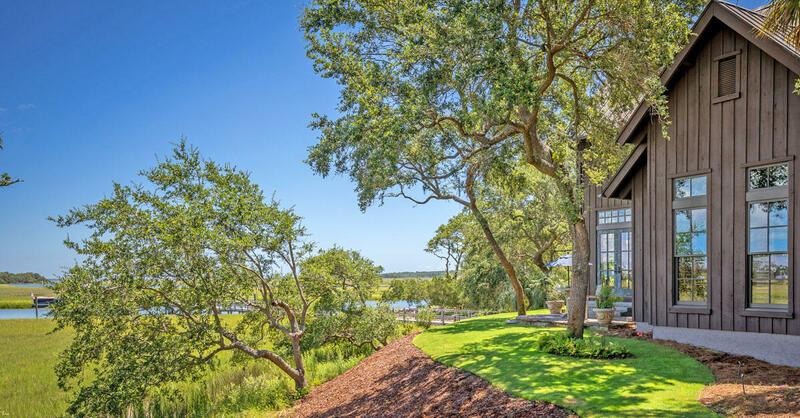 The natural beauty of the Kiawah outdoors is reflected in the stunning custom woodwork found throughout this deep-water estate at 23 Cormorant Island Drive. The level of artistry in this home must be seen to truly be appreciated. 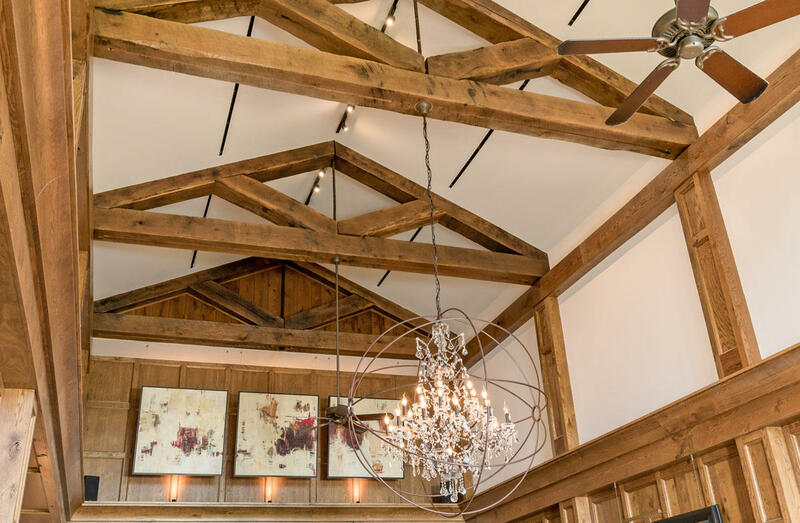 Natural materials like wood and stone are complemented by glass and metal. 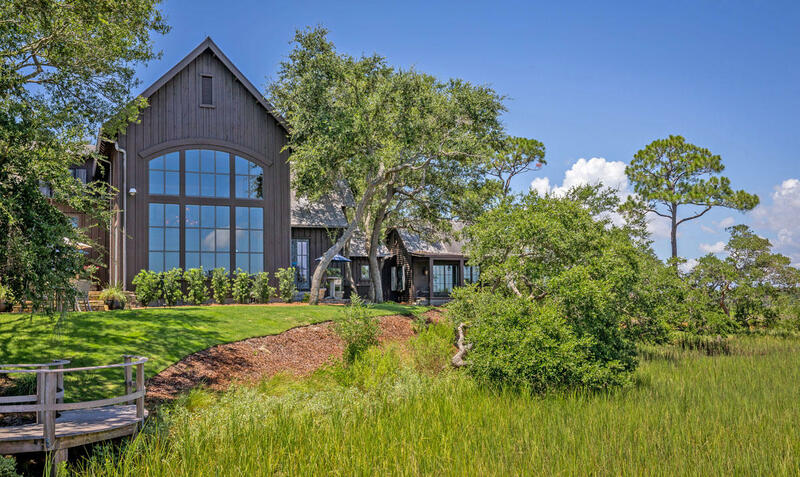 Set against the marshes of Bass Creek, the simplicity of the exterior blends into the natural surroundings without distracting from its beauty. Yet it belies the incredible level of detail inside. 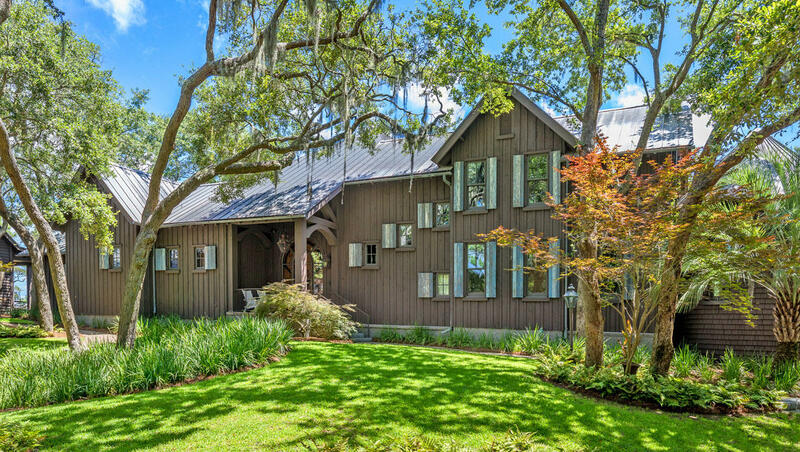 The main house has 3 bedrooms and 3.5 baths while the guest house provides an additional 2 bedrooms and 2 full baths. 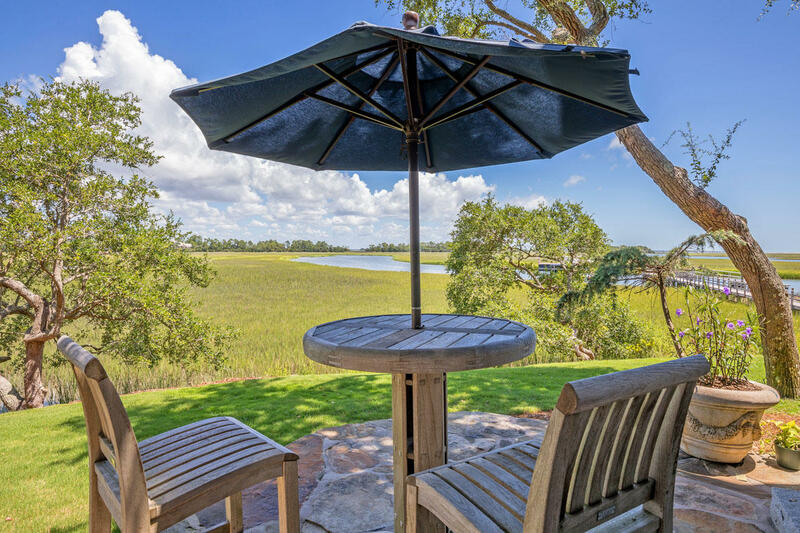 The backyard has a deck, pool and outdoor fireplace with panoramic marsh and river views. 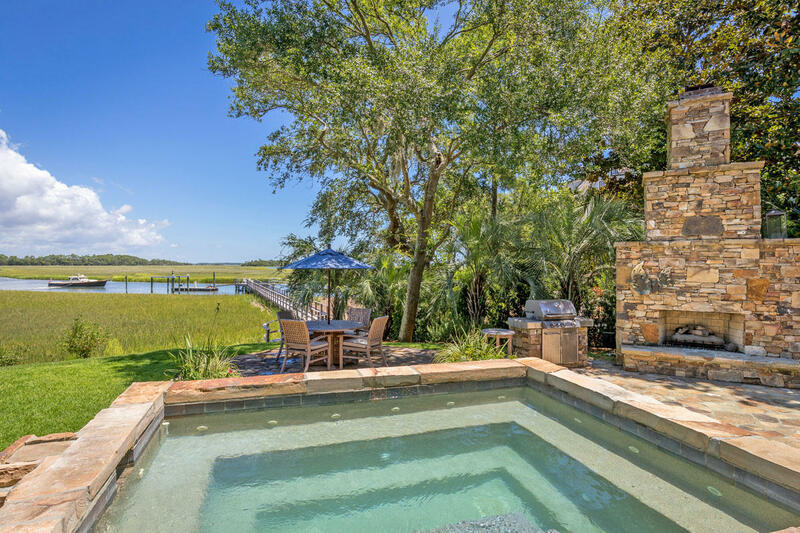 Kiawah Club membership is transferrable. 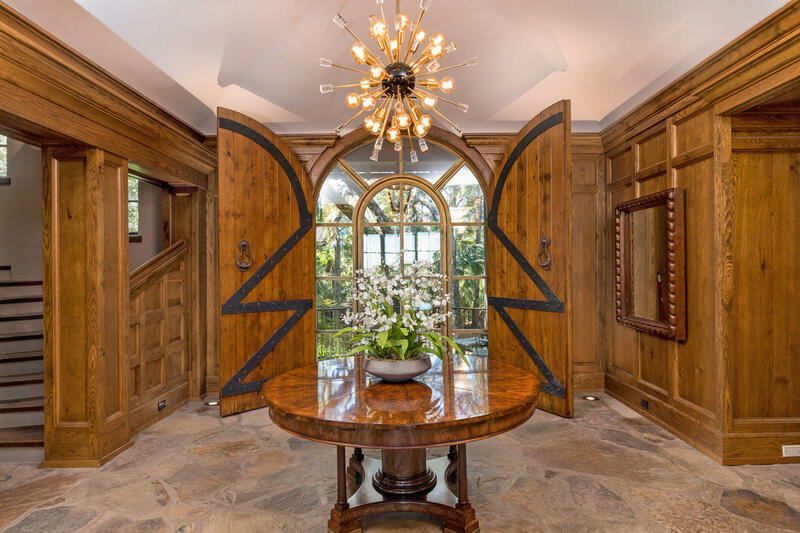 Impressive curved solid oak doors lead to a wood-paneled, stone-floored foyer that introduces you to the artistry of what is ahead. 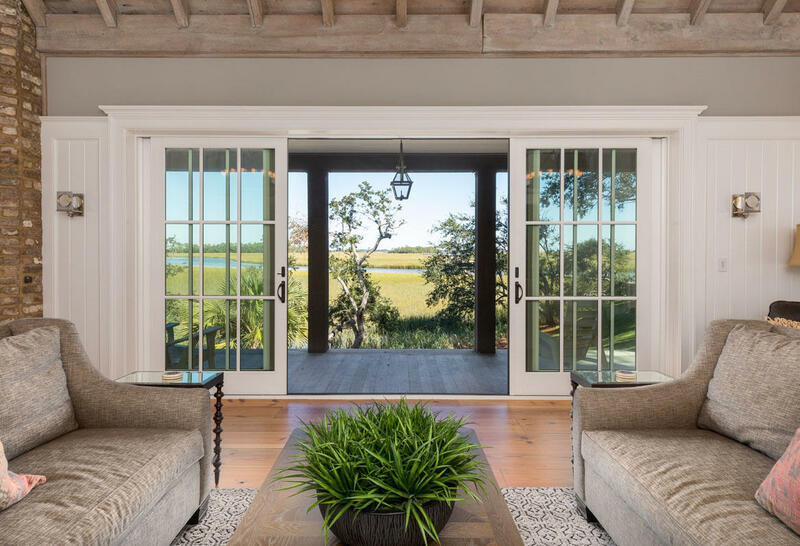 From the entry, you can see through the great room all the way to the marsh views that surround the home and even to the Ravenel Bridge in the distance. 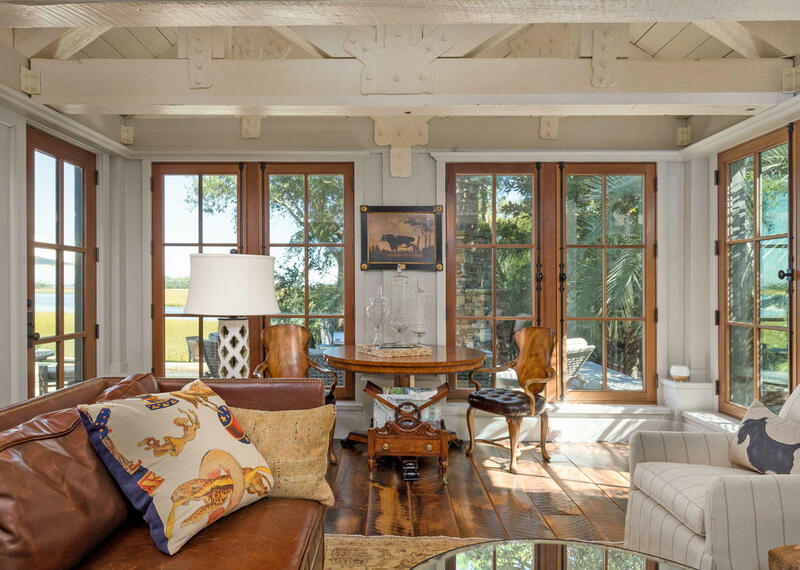 The main living space is dominated by oak-paneled walls, wide plank oak floors and a 25' high vaulted ceiling with exposed truss beams. 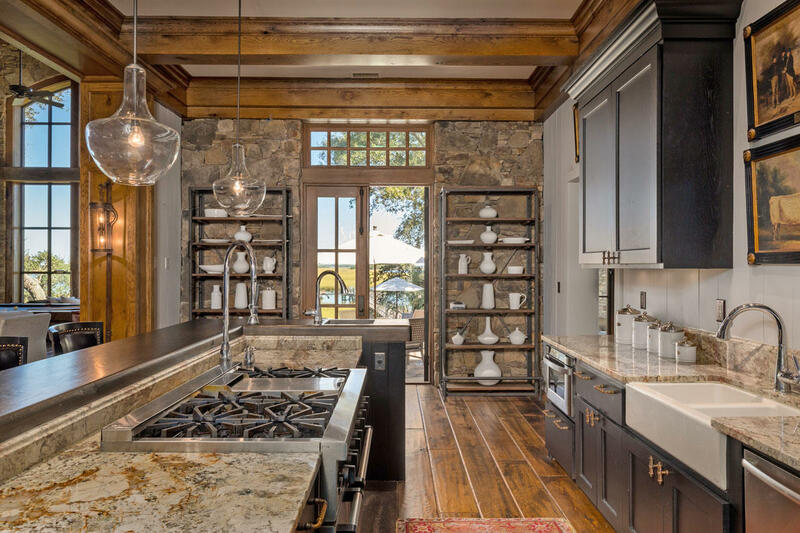 A dramatic wall of arched windows surrounded by stone encapsulates the mash views. 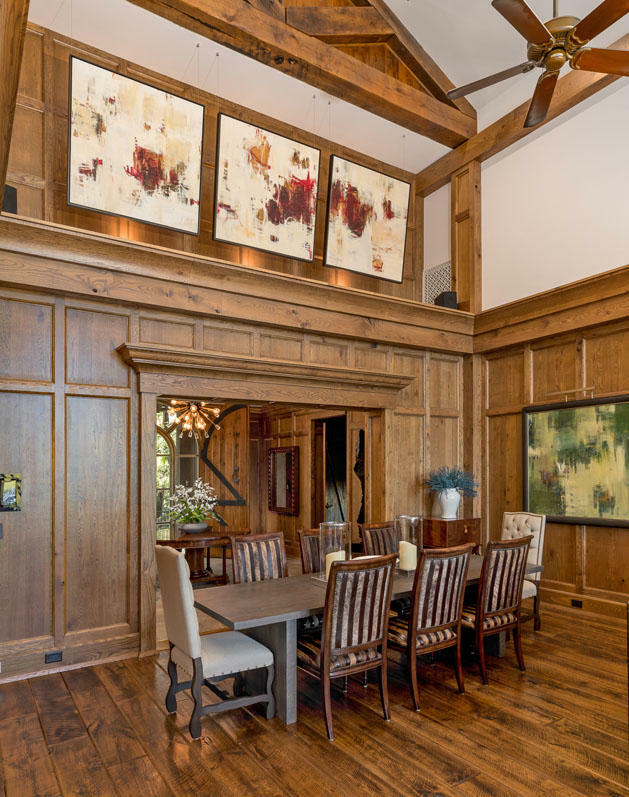 This great room is large enough to accommodate a formal dining area plus multiple living zones. 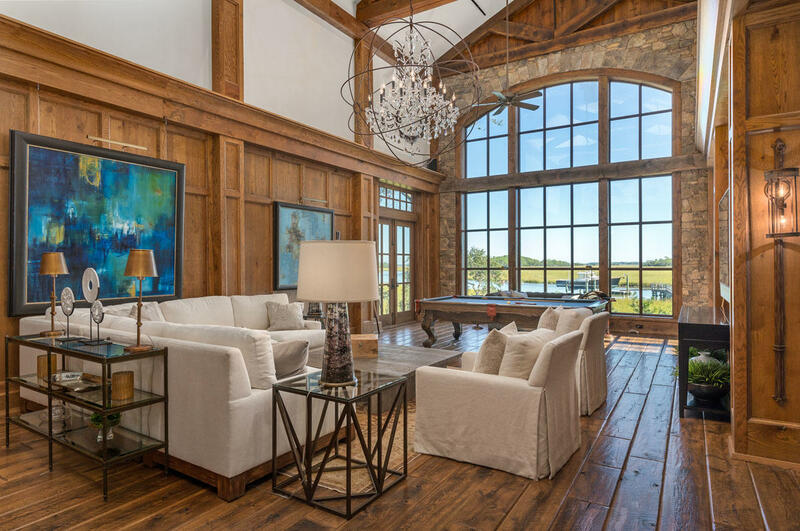 The curved windows and a dramatic crystal orb-encircled chandelier contrast nicely with the angular ceiling beams and linear wall panels. 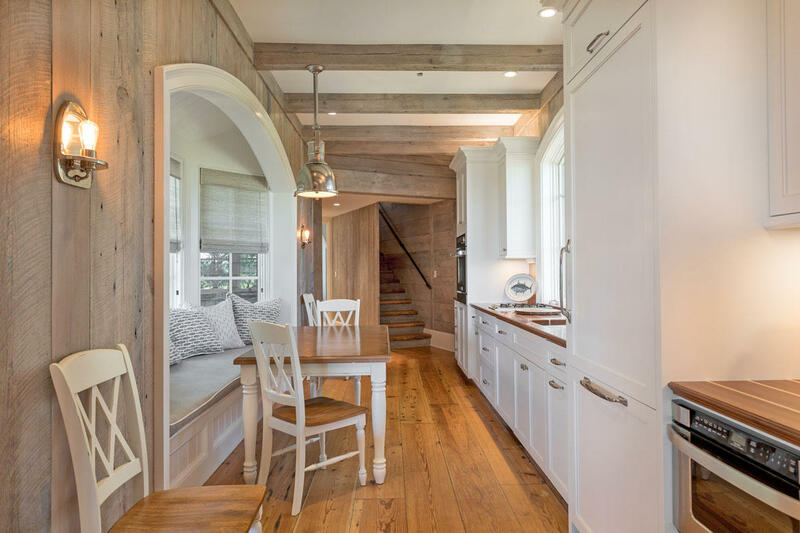 Open to the great room is a farmhouse-inspired kitchen. 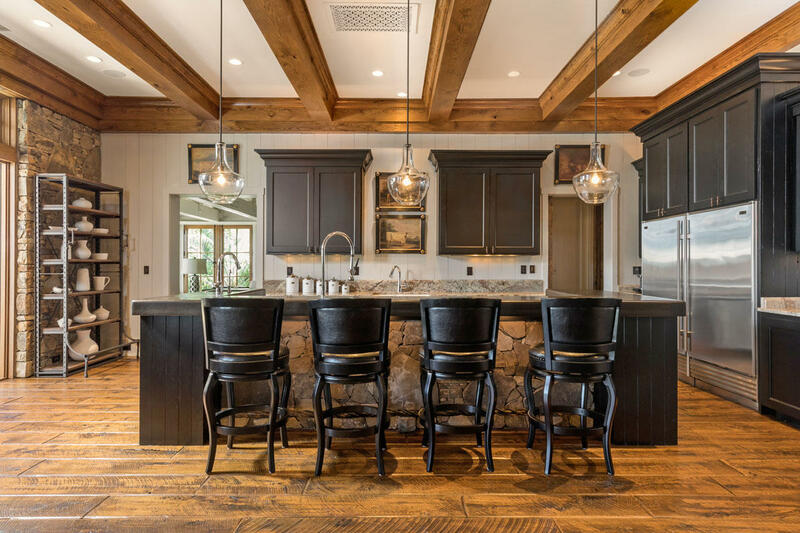 A large island with bar seating offers seamless entertaining. 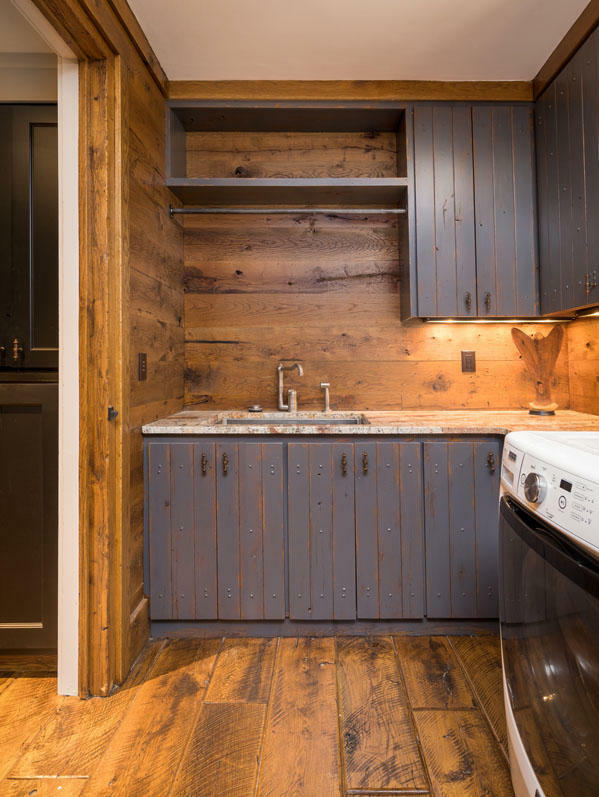 Its dark wood cabinets with pull out storage organization are punctuated by granite countertops. 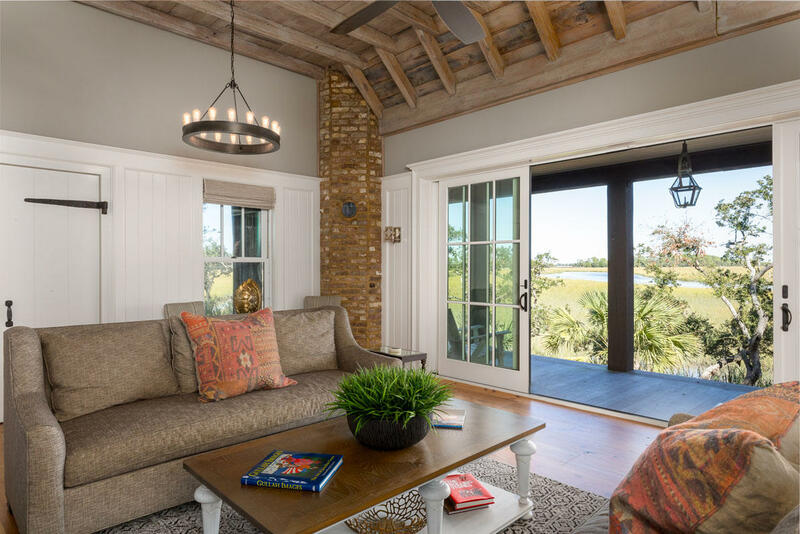 A coffered ceiling and stone wall with French doors to patio provide architectural interest. 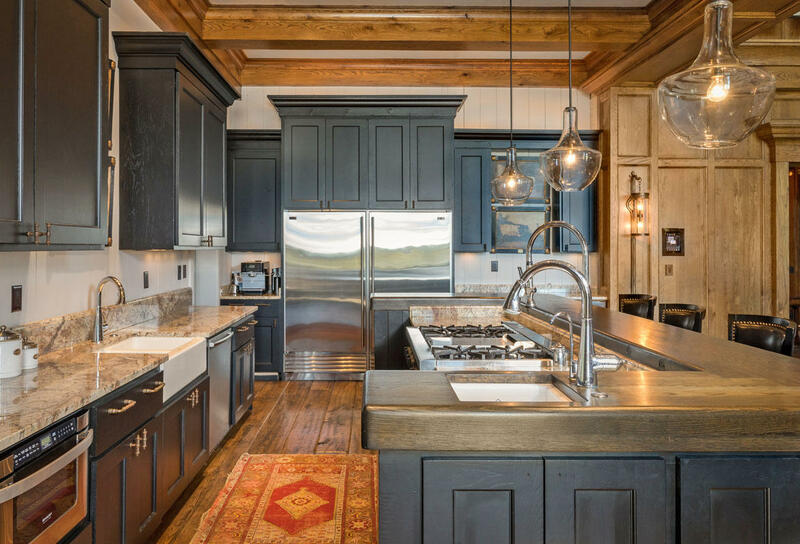 It includes an industrial Sub-Zero refrigerator and freezer, Thermador Professional 8-burner gas stove with pot filler, bar with built-in wine cooler, microwave drawer and farm sink plus wet bar. 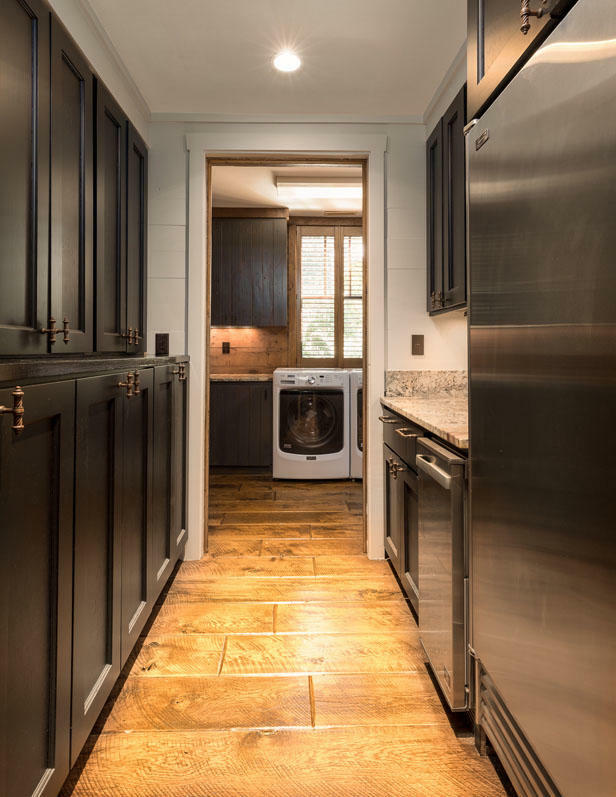 Adjacent to the kitchen is a walk-in pantry plus a butler's pantry with additional Sub-Zero fridge and ice maker and additional storage. 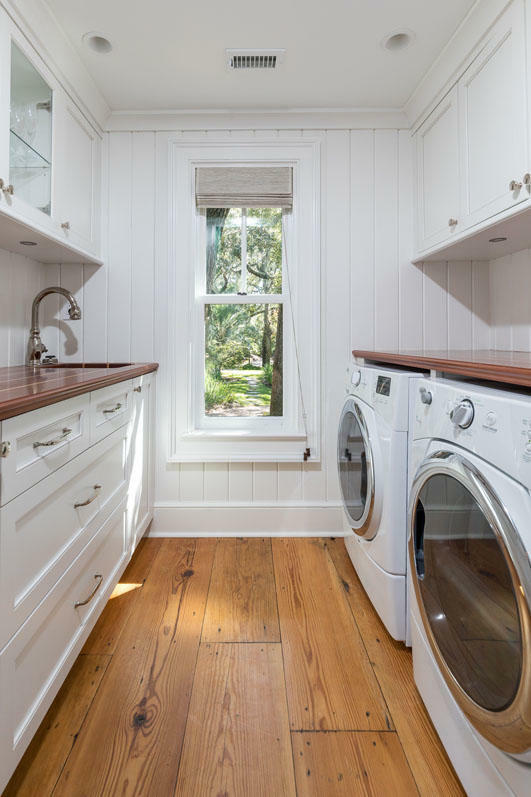 It leads to a laundry room with Maytag Maxima front load washer and dryer, a deep sink and more storage cabinets. 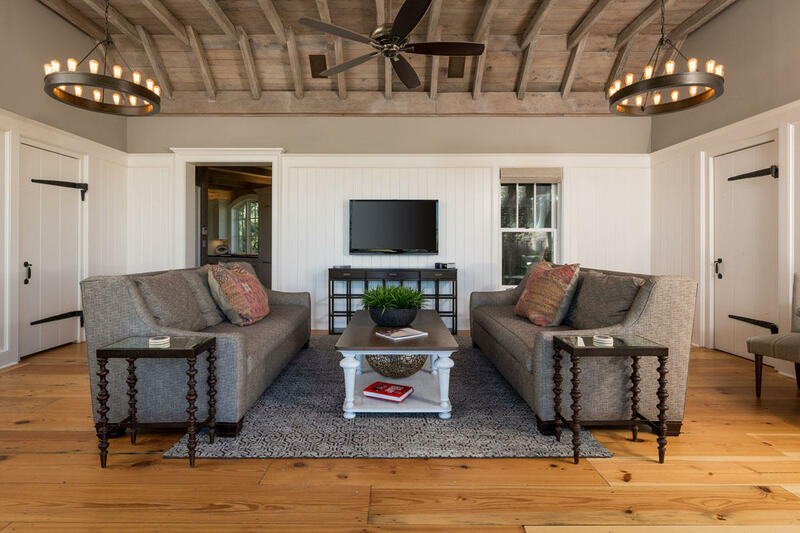 Off the kitchen is a family room with white wood-paneled walls and exposed large-scale ceiling trusses. 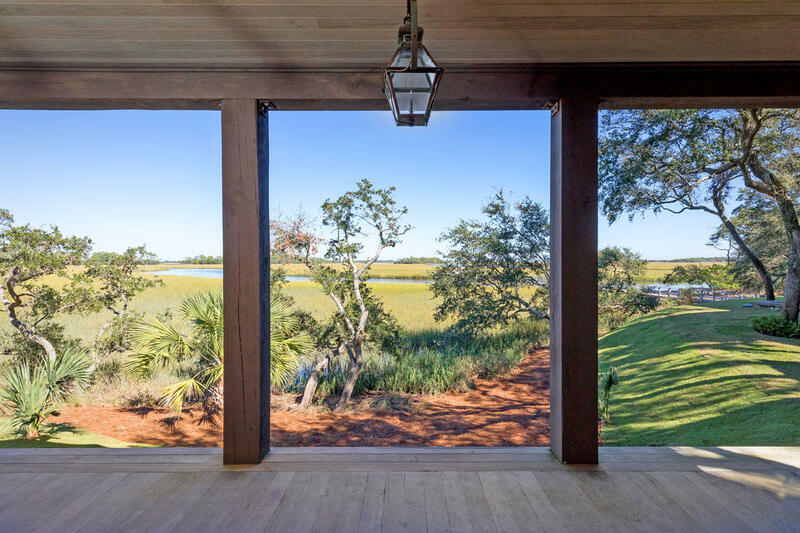 Three sets of floor-to-ceiling windows turn the space into a sun room open to the back patio and views. 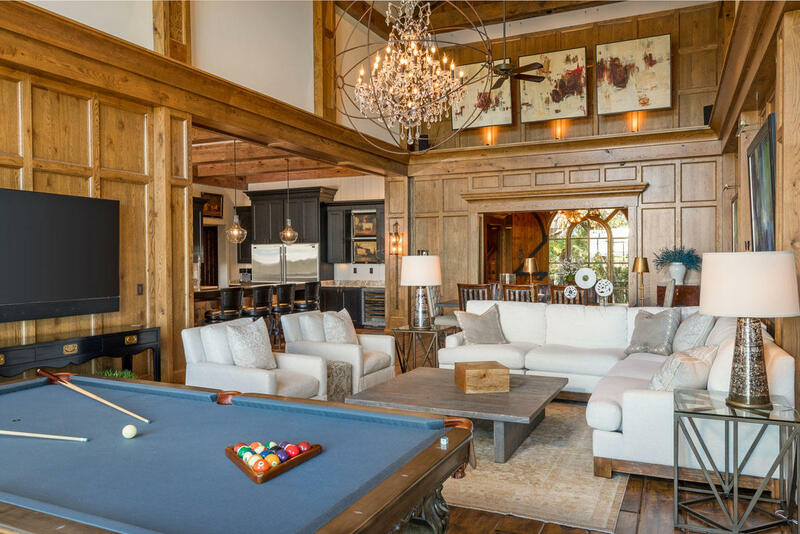 Luxury details abound throughout the living spaces. 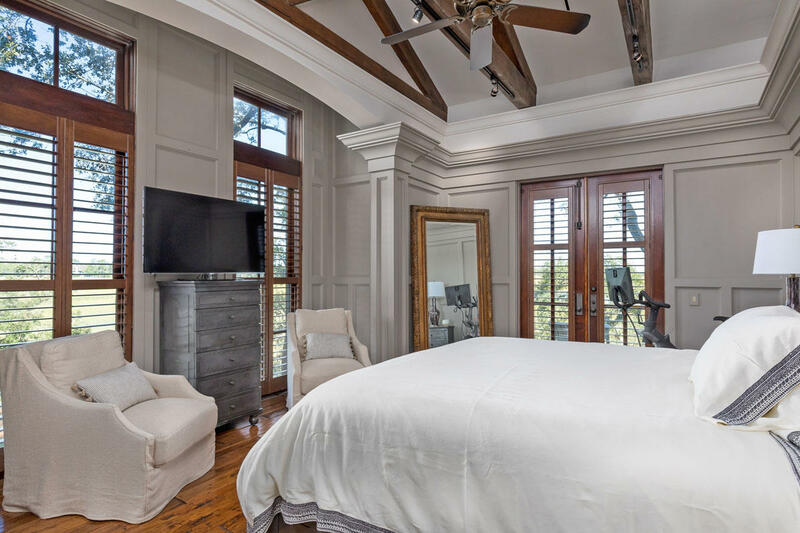 These include a smart home music system with iPads built into the walls, curved walls and ceilings, dramatic molding, wood-paneled walls, iron hinges, pocket doors and built-in shutters. All electrical switches are labeled for your convenience. Lights gracefully dim when you switch them off. 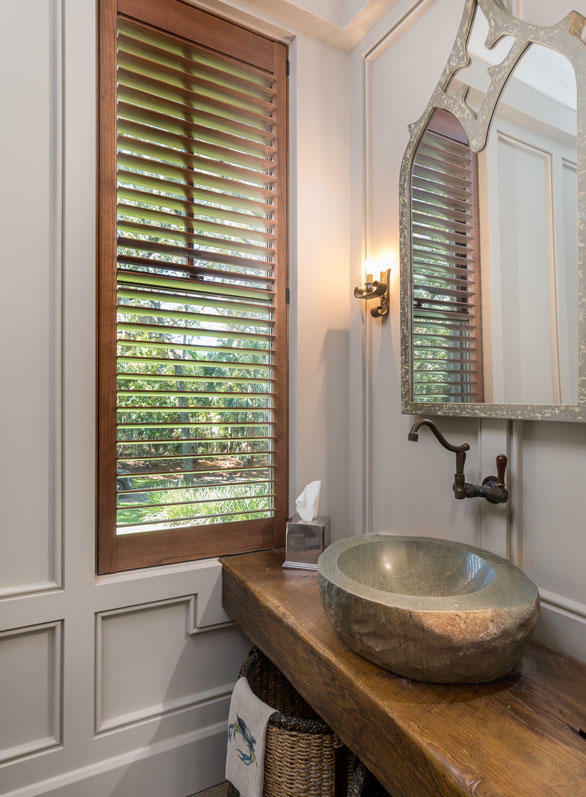 Cabinet doors and drawers slowly glide shut to avoid pinched fingers. 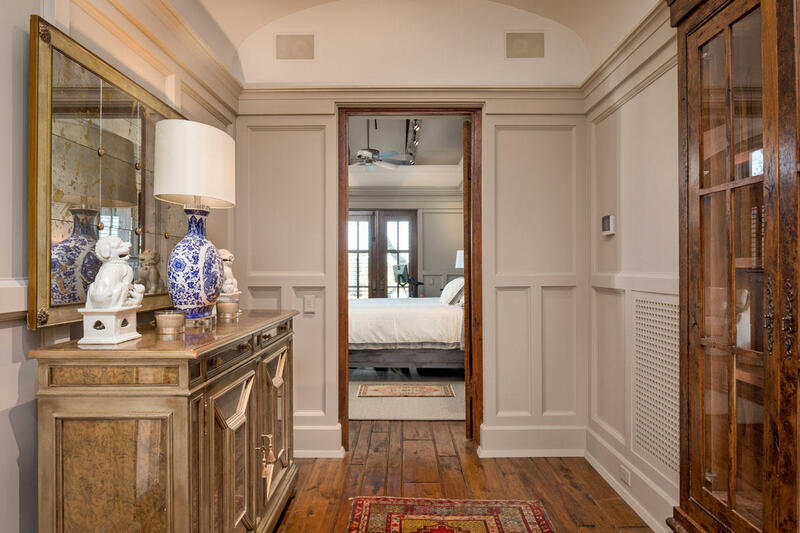 To the left of the entry is the sumptuous master suite. 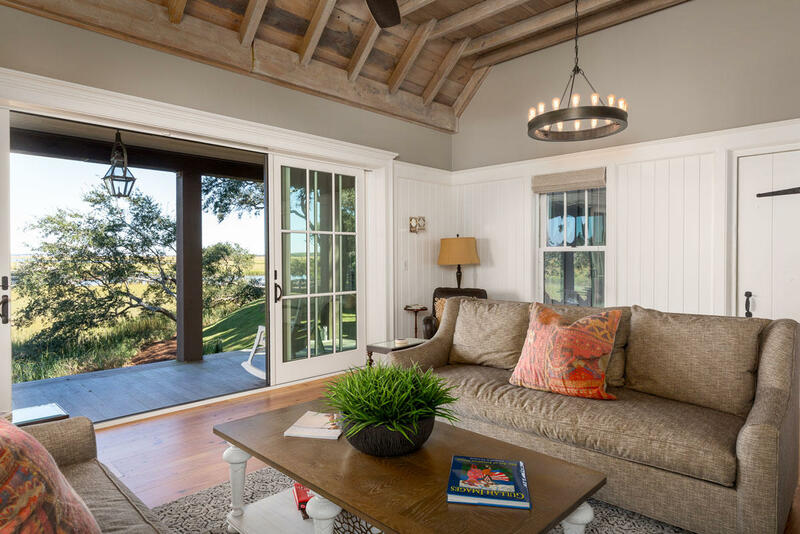 It includes a gallery with barrel ceiling and glass display cabinets to set it apart from the living spaces. 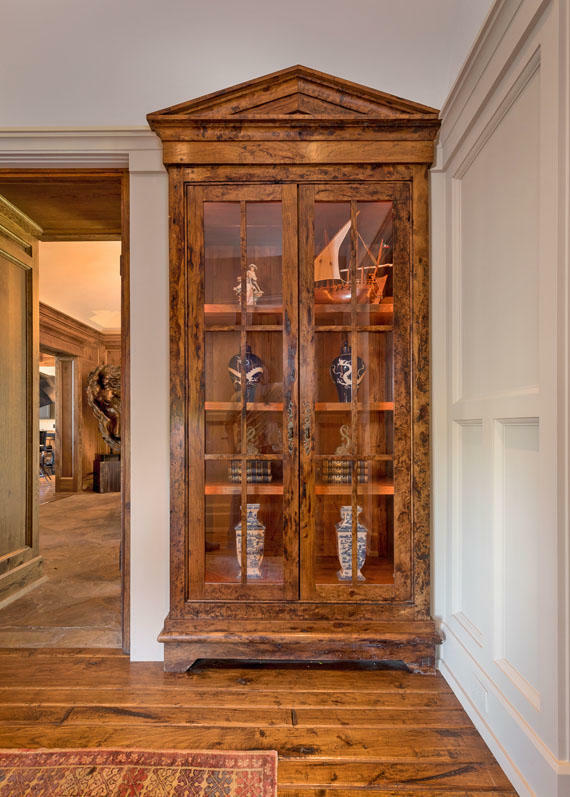 Two dressing rooms/walk-in closets provide beautiful wood built-in storage. 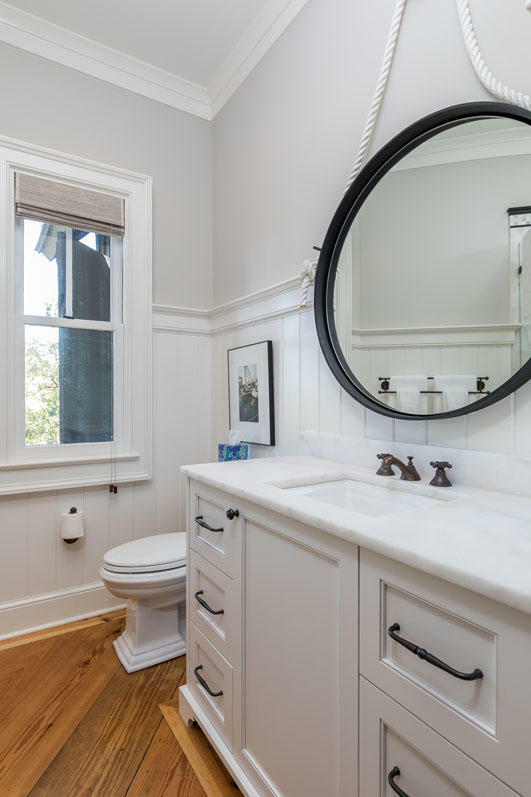 The master bath has dual vanities with maximized hidden storage. 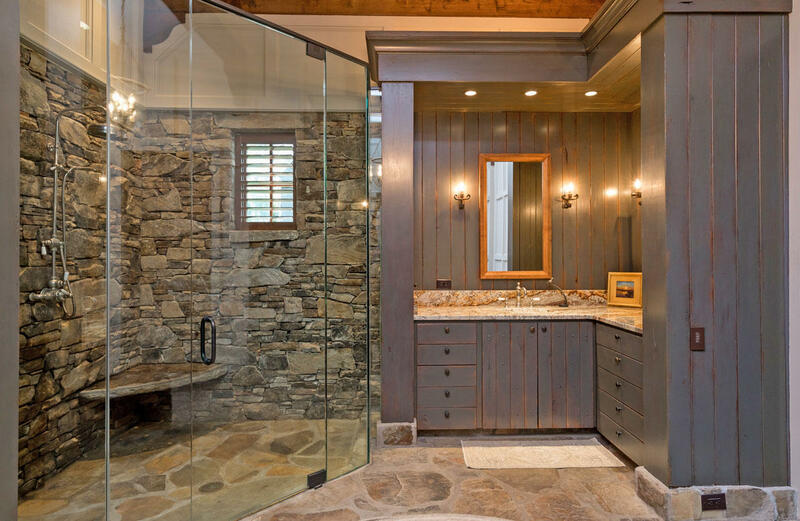 The walk-in stone shower features both a rain and adjustable handheld shower head. 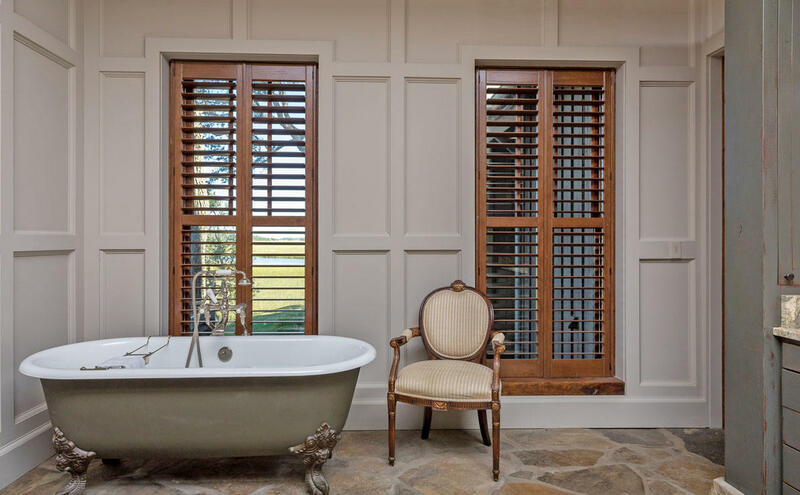 The claw foot tub overlooks the marsh and river views for the ultimate relaxing soak. 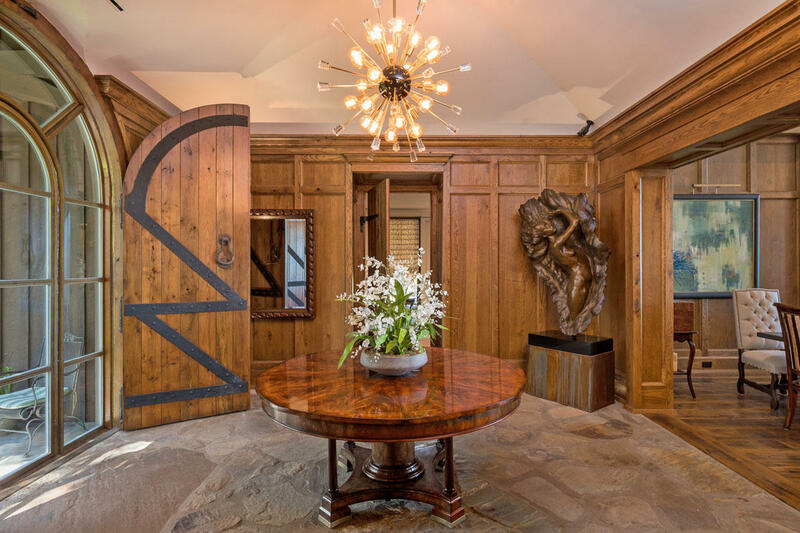 To the other end of the entry is a wood-paneled hall with walk-in wine closet that stores hundreds of bottles, a half bath and storage closets. 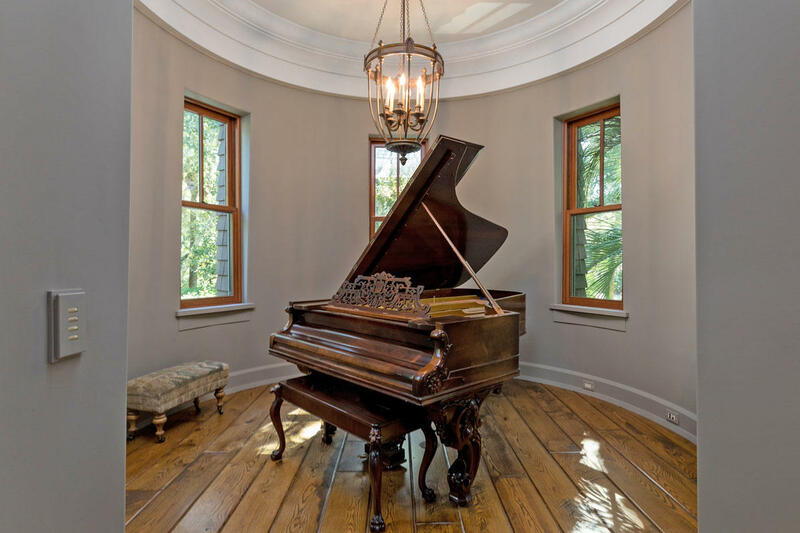 It leads to an office nook and unique round room currently highlighting a grand piano that would make a lovely gallery to showcase treasured pieces of art or furniture. 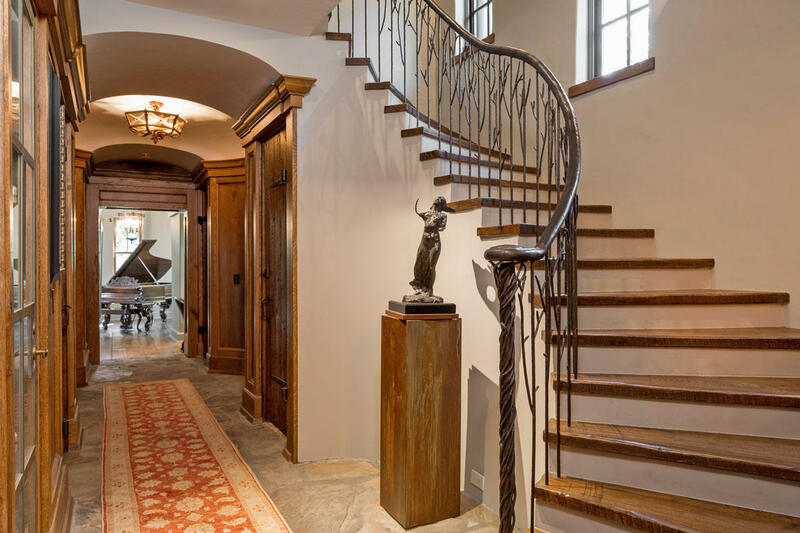 A custom spiraling staircase plus an elevator provide access to the second floor. 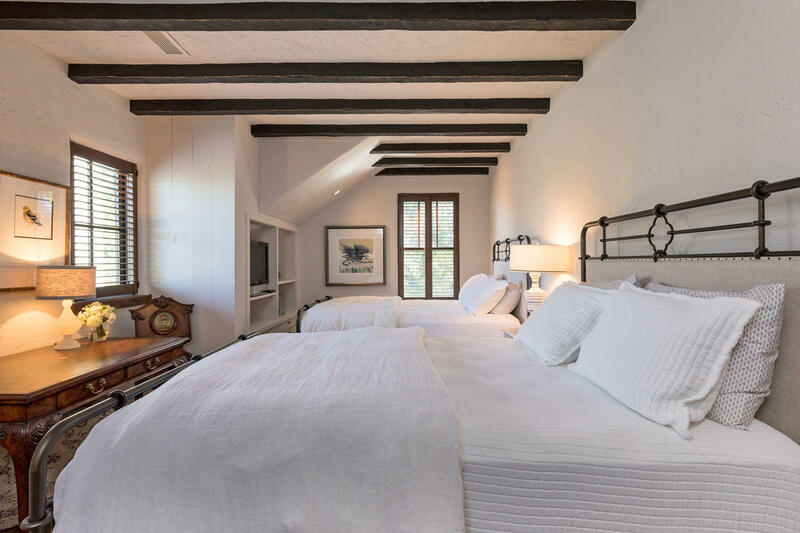 Upstairs are 2 mission-style bedrooms with textured plaster walls and rough-hewn beamed ceilings. 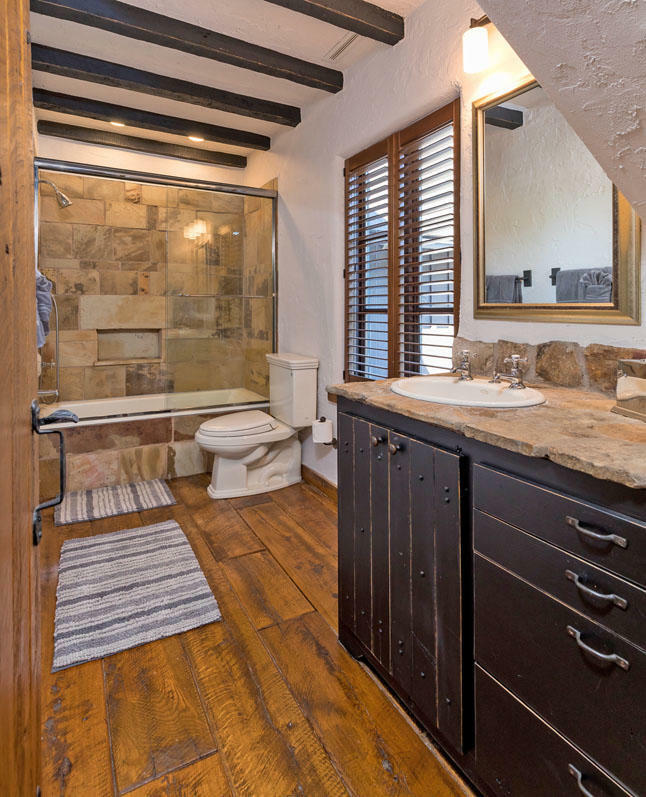 Two full en-suite bathrooms feature beautiful stone showers. 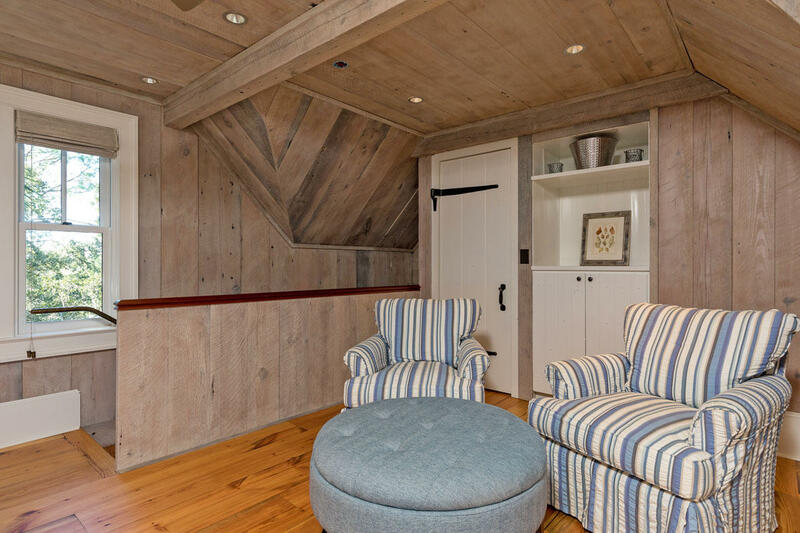 One room has a walk-in closet and the other built-in storage and entertainment cabinets. This level also includes a server/security/utility/storage room, an additional laundry closet and a walk-in storage closet. 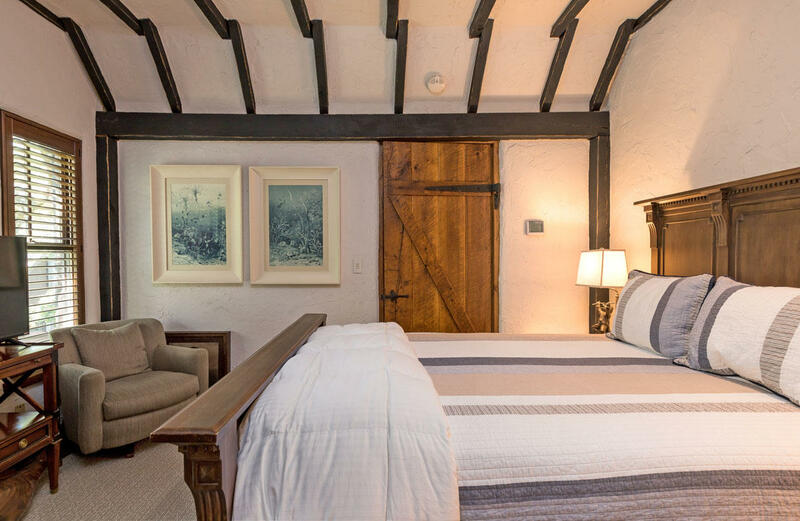 The property also includes a 2 bedroom, 2 bath guest house. 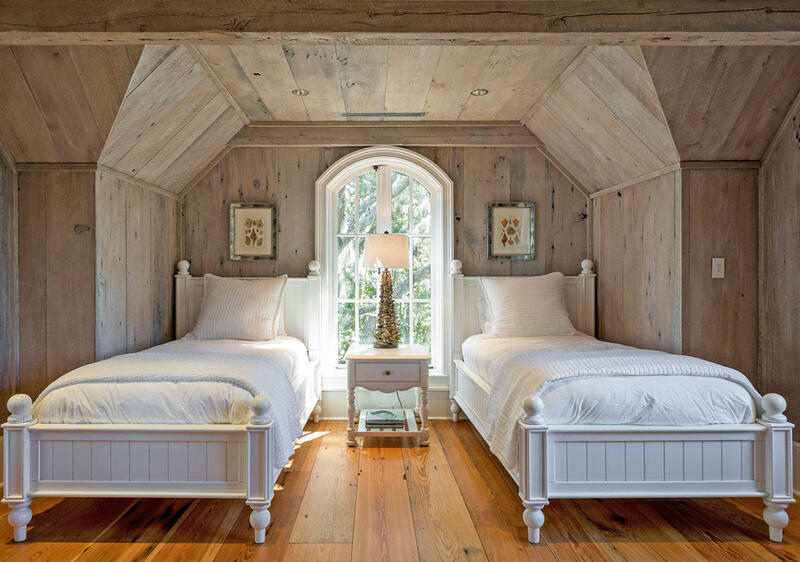 It is decorated with lighter white, blonde and pickled wood tones and subtle nautical theming throughout. 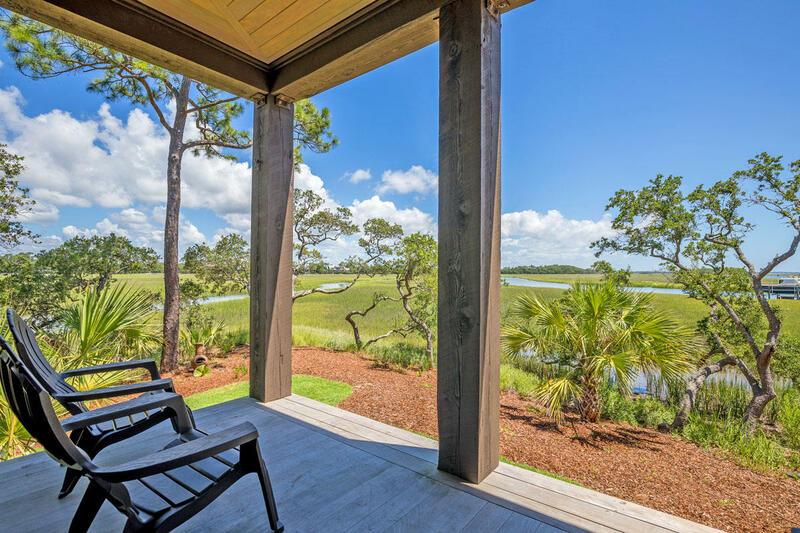 The beachy living room has sliding doors that open completely to a full porch to enjoy the marsh breezes and views. 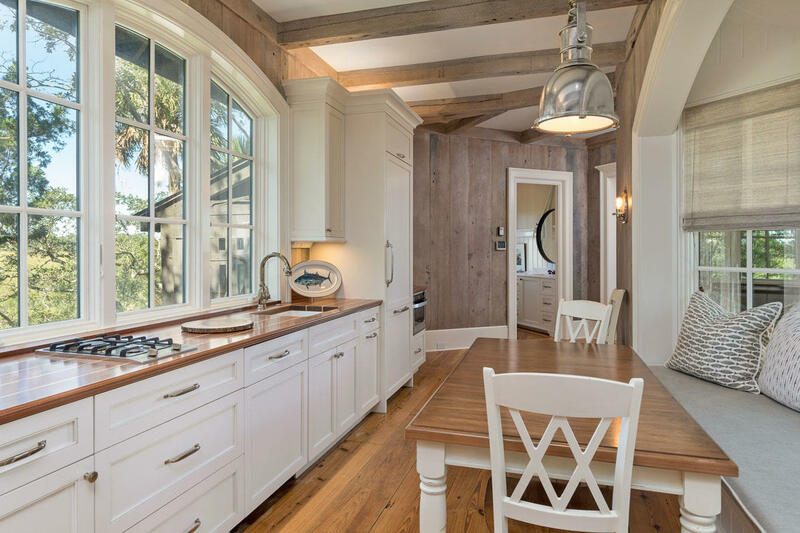 The galley kitchen has an eat-in banquet and fridge and drawer freezer concealed in the cabinetry. 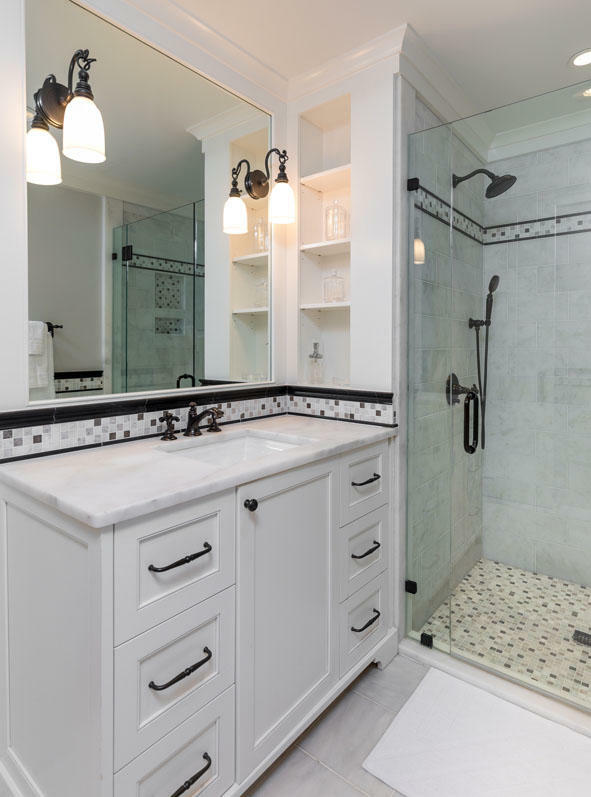 Both marble baths have beautiful mosaic tiled showers. 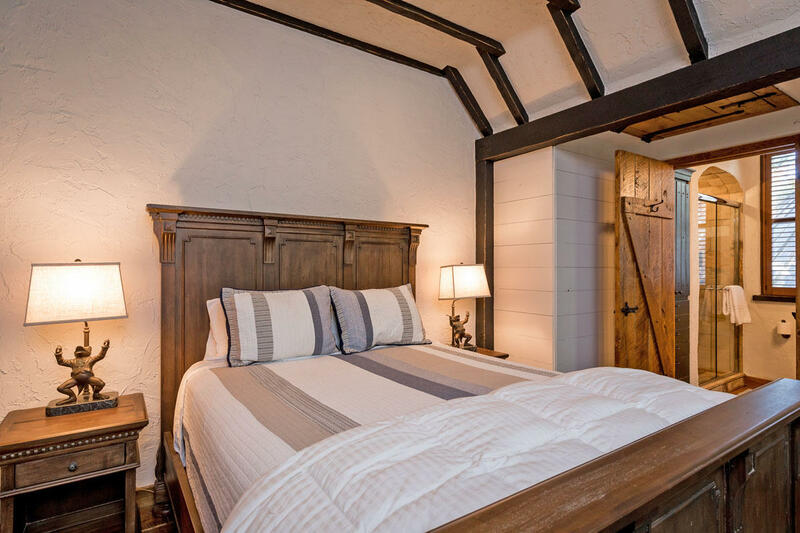 One bedroom is downstairs and a loft bedroom is upstairs. 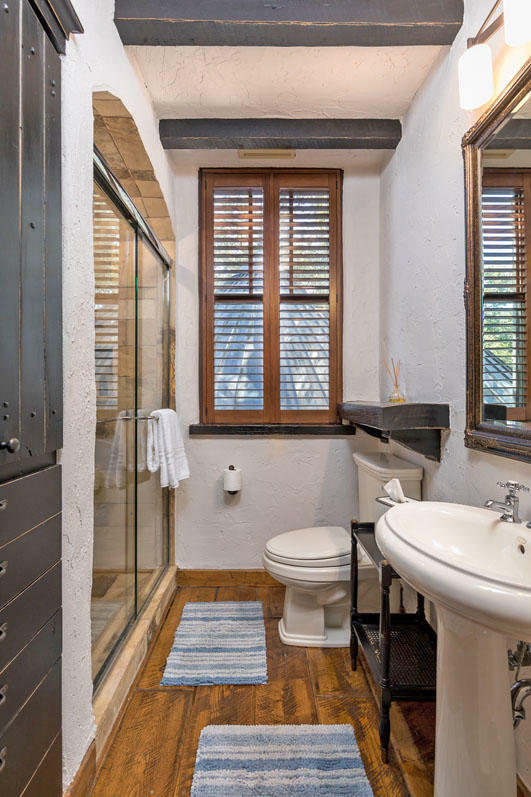 There is also a room that functions as a wet bar, butler's pantry and laundry. 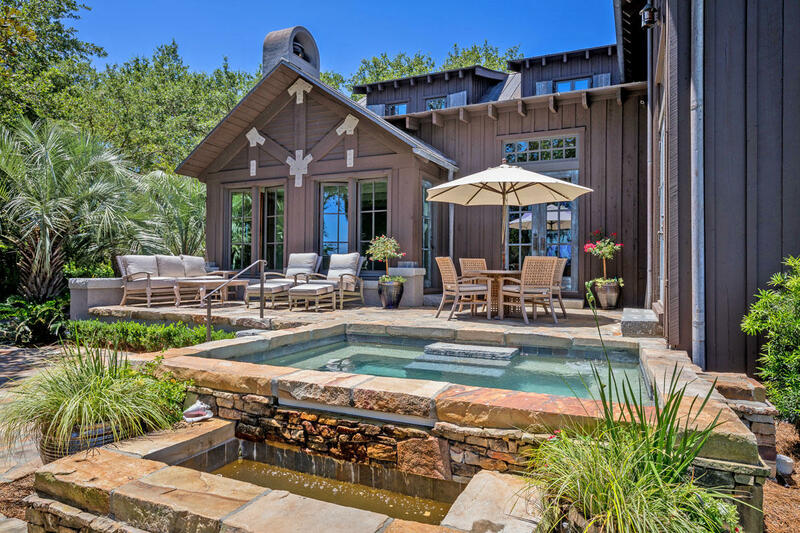 At the back of the main house is outdoor living and entertainment area with multiple levels of stone patios, a soaking pool, a gas grill and an outdoor fireplace. 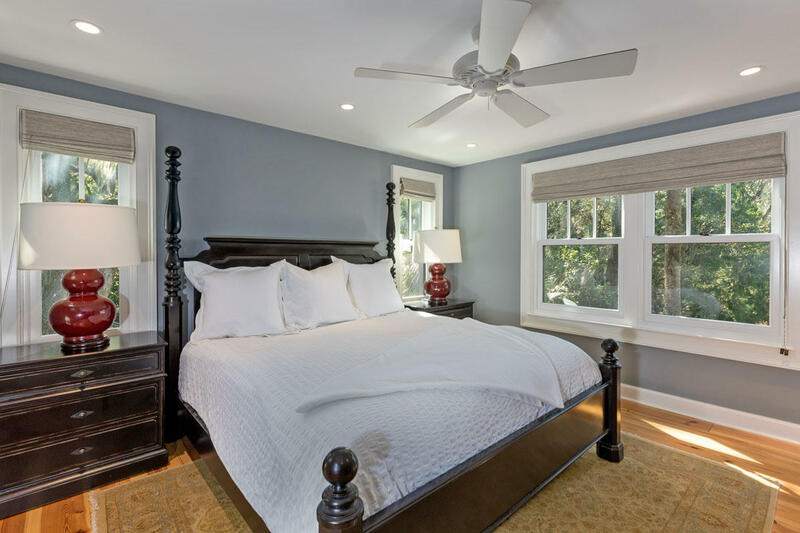 A mosquito abatement system protects you from pesky insects. The entire ground level accommodates a finished garage and storage spaces, including a room currently housing a sauna also accessible from the main hall. 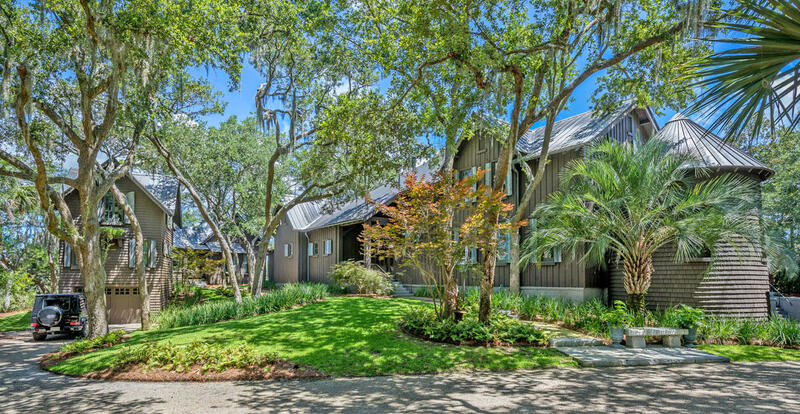 Guest house also has 1-car garage beneath it. 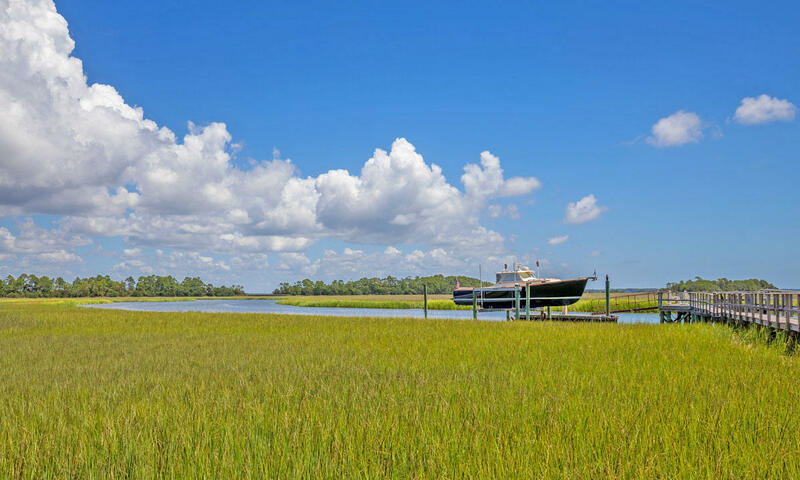 A short walkway over the marsh takes you to a true deep water dock affording a 55' boat access even in low tide. 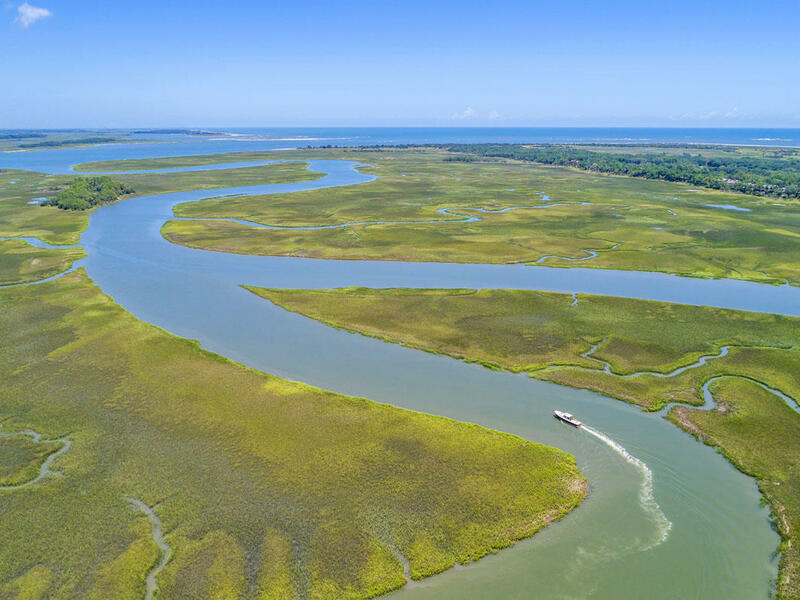 From the Bass River, travel to the Stono River and the Atlantic Ocean. 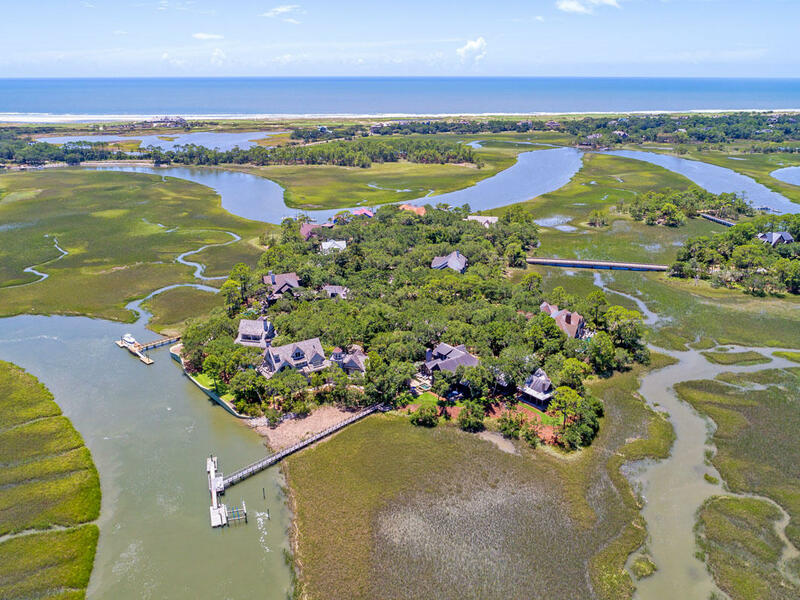 Kiawah Island is a world-class gated resort just 25 miles from Downtown Charleston. 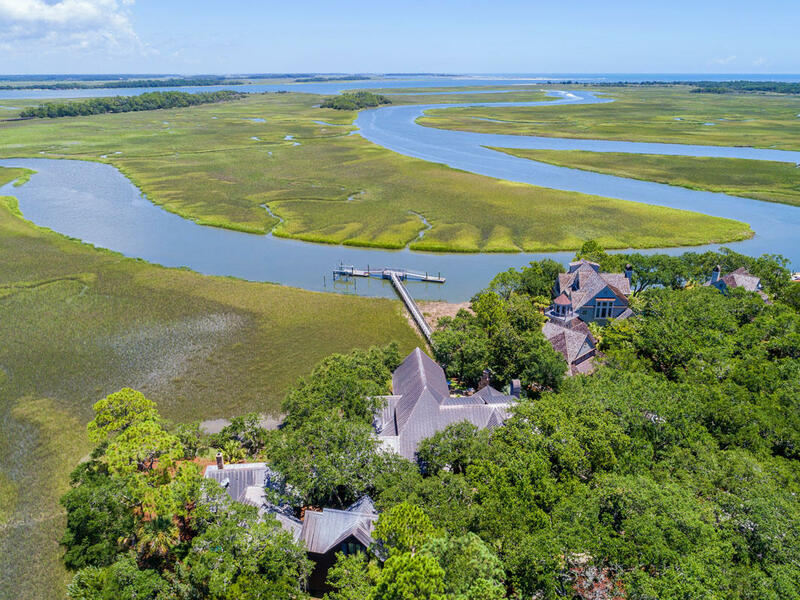 It offers a 10-mile stretch of pristine beach, 5 world-renowned golf courses (including the famous Ocean Course), 2 exceptional tennis centers, restaurants, shopping, swimming pools, a 21-acre recreation park and over 30 miles of paved bike trails. 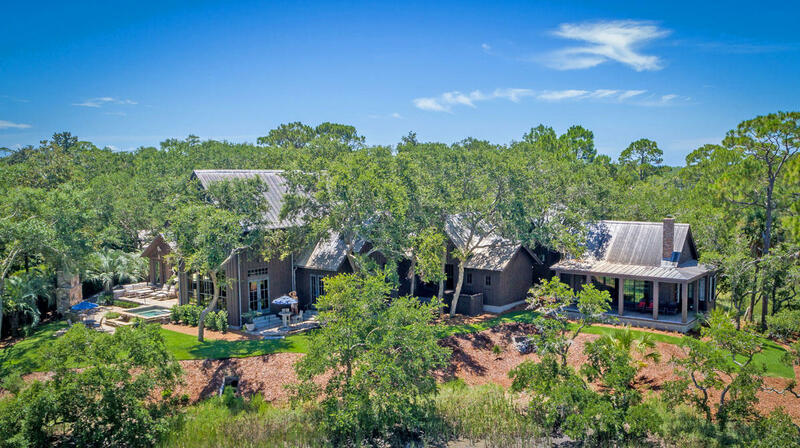 Bohicket Marina, the 4-star, 4-diamond Sanctuary Hotel and Spa, and shopping and dining at Freshfields Village are a short drive away.